Rebecca and Neil's stunning wedding cake today atShottle Hall looked scrumptious!! 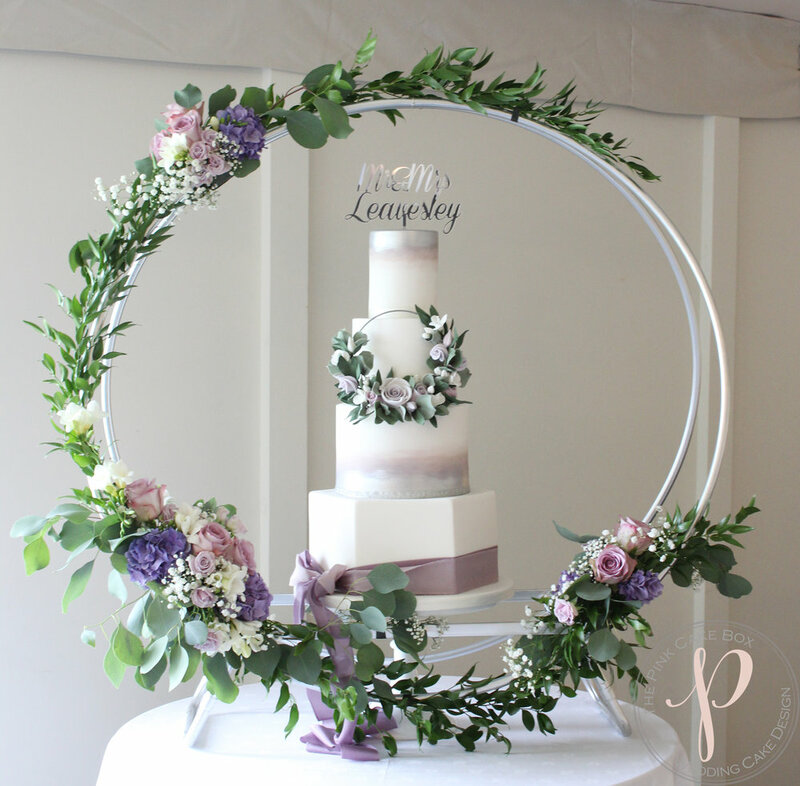 Hexagon base tier, hand painted lilac water coloured tiers with metallic silver painted and a sugar floral hoop to match their wedding flowers of roses, freesias and foliage. Rebecca struggled to find her dream cake with all the incredible inspiration that's available on Pinterest now and so many new cakes every week but when I made a version of this in green and gold earlier in the year she fell in love with it and knew it would be perfect for their big day in their colour scheme with their wedding flowers too. They chose tiers of Elderflower and Prosecco with prosecco syrup, lemon curd and vanilla pod buttercream, Cherry Bakewell with dark morello cherry conserve and vanilla pod buttercream, Gin and Tonic with gin syrup, lime curd and tonic buttercream and Zesty Lemon and Lime with lemon drizzle syrup, lime curd and lemon buttercream.